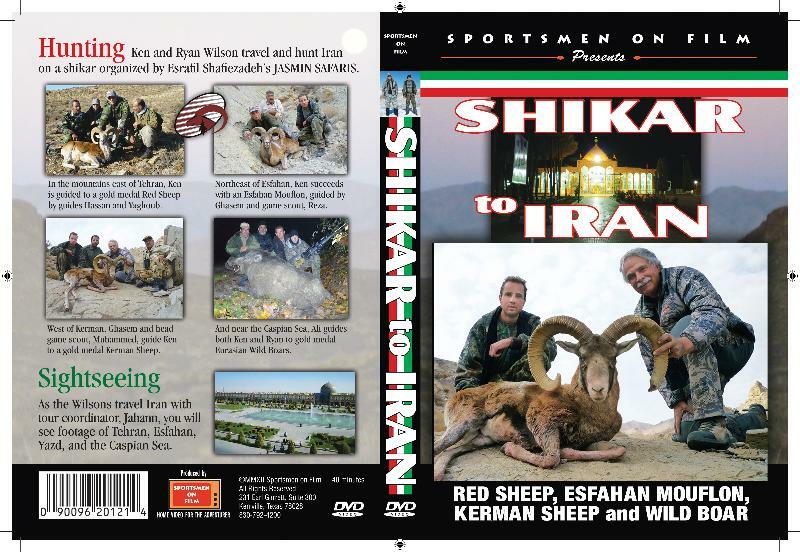 In record time (and in time for the Conventions), our "Shikar to Iran" DVD is available for immediate delivery. Like all 68 of our other DVDs on our website (www.sportsmenonfilm.com or www.shunnesonwilson.com), the price is only $19.95 plus S&H and we accept MasterCard, Visa, American Express, and Discover. If you can't attend one of the following Conventions, call Ken on his cell during the Conventions (830-739-3056) or call our offices between Conventions (Lad: 303-258-7777 or Ken: 830-792-4200). Dallas: January 5-8 (Booth 1725). We have great donation hunts from Faro East for Cameroon and from Uganda Wildlife Safaris for Uganda. SCI: February 1-4 in Las Vegas (Booths 3821-3823-3825). We have great donation hunts from Federico Gellini Safaris for Tanzania and from Mashete Safaris for Namibia. GSC/O: February 8 - 11 in Reno (Booth 315). We have a great donation hunt from Jasmin Safaris for Iran.